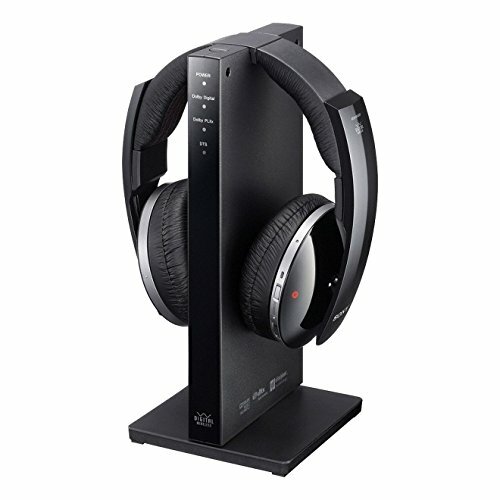 Perfect for listening to music at home, theSony MDR-DS6500 gives you up to 20 hours to enjoy your music up to 100 m away. With 40 mm driver and VPT (VirtualphonesTechnology), the MDR DS6500 from Sony gives you three-dimensional sound justlike wired headphones. Choose from several modes (Cinema, Games,Voice, Stereo) and listen to your music from several formats (Dolby Pro LogicIIx3, DTS, DTS-ES Matrix etc.) without being disturbed by outside noise.